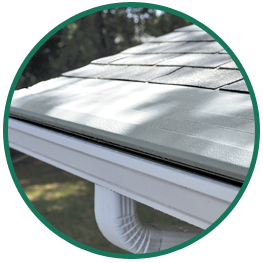 A clear and healthy gutter system is as important in winter as it is in spring, summer, and fall. 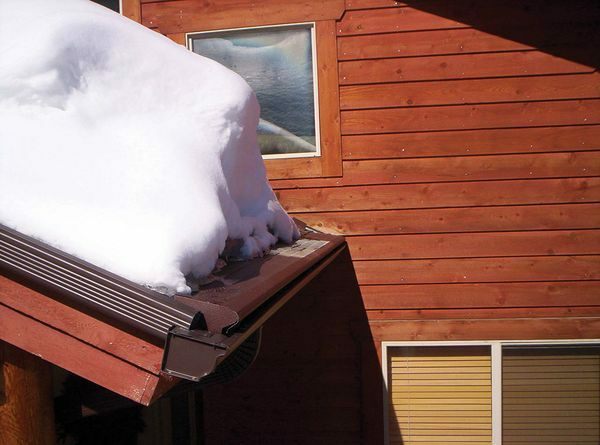 The melted snow on your roof requires properly working gutters to flow through your system and out the downspouts. If there are leaves or ice in your gutters, this melted snow will not be able to flow properly, and the excess weight on your gutters can cause it to sag away from your home’s exterior walls or damage your roof or siding. Fortunately, Gutter Helmet®’s Helmet Heat Ice Reduction System offers the best heated gutter solution to problems caused by ice buildup in your gutters. This product works in tandem with Gutter Helmet for complete, 4 season protection against debris and costly home repairs. How Does Helmet Heat Work? As your trusted gutter contractor, Gutter Helmet of Eastern NY can install a hidden heated cable system with your gutter cover that will melt snow and ice, preventing the formation of ice blockages on your gutter system that can potentially cause injury as the sheets thaw and fall to the ground. In addition, Helmet Heat can prevent damage to your gutters and roof due to the weight of excess ice on your gutter system. Our advanced Helmet Heat product features a self-regulating conductive core that heats your gutters only when necessary, making it not only functional, but energy-efficient as well. Its superior conductive core can increase its own heat output when the temperature drops and decrease it when the temperature rises. Helmet Heat, our heated gutter system, can be installed together with our exclusive Gutter Helmet protection system for complete protection. When you choose Gutter Helmet of Eastern NY for this upgrade, we can also install new, larger, heavy-duty gutters to make sure you’ll have an outstanding gutter upgrade experience. With Gutter Helmet of Eastern NY, you can be confident that the installation will be performed by factory-trained professionals. We take pride in our excellent customer service, so we will always go to great lengths to guarantee your complete satisfaction. Get a FREE Heated Gutters Estimate From Our Experts! Call us today! Let us help protect your gutters and your home throughout any season! You can request a FREE estimate today by calling us at (845) 245-2581. By clicking below, I ask that Gutter Helmet call me so I can learn more about its products. By checking this box, I authorize Gutter Helmet of Eastern NY to call or text message me at the number provided above in the future to update me on its products. I agree that such calls may use an autodial system and that my consent is not a condition to receive an estimate or make a purchase.